There is no denying that proteins are vital for our health. Proteins are essential to keeping our body up and running, as they play a pivotal role in cell growth and repair, brain function, as well as in workouts and recovery. Additionally, it takes our body longer to digest proteins over carbohydrates, keeping us full longer while consuming less calories. For this reason, proteins are extremely important for those trying to lose weight. Most people immediately think of meat or chicken when it comes to protein sources. In fact, in the United States the majority of protein comes from animal product. Truthfully though, there is a large part of the general population that could benefit their health by switching out some animal proteins for more plant based proteins. There has long been a belief that one must take in animal based protein to meet our bodies needs, as these are considered “complete” proteins. “Complete” proteins are those sources that contain the nine essential amino acids, the building blocks of proteins, that our body can’t produce on our own. But the truth is that a plant based, vegan or vegetarian diet can provide the body with “complete” proteins after all. And in fact, when needed our body can make “complete” proteins by consuming a higher amount of plant based proteins, whether eaten separate or together. For those who decide to follow a vegetarian or vegan lifestyle, for any number of reasons, there are a plethora of plant based options that will satisfy the body's proteins needs (though it is important to note that there are certain vitamin needs that may not be satisfied with a purely plant based diet, without supplementation). Whether eaten as part of a meal, or as a snack instead, there are many delicious ways to incorporate plant based proteins to any diet. Take a look at how these protein sources can make it into your diet. Lentils - With 9 grams of protein per half cup, as well as 15 grams of fiber, lentils make the perfect addition! Try it in soups, salads or as a side dish. Quinoa - This plant based seed-like grain is rich in antioxidants, magnesium and fiber, and is also naturally gluten-free. Try it with beans or mix with vegetables and nuts. Green Peas - With 8 grams of protein per cup, and rich in the amino acid leucine, which play a role in metabolism and weight loss, these make the perfect addition to any meal. Try it mixed into rice, in a soup or with the pods as a snack. Hemp Seeds - This complete protein has 13 grams of protein in just 3 tablespoons. Try it tossed into a yogurt parfait or blended in a smoothie. Tofu - Tofu has found its way into everything from breakfasts and smoothies, to desserts and dinners. Coming in a variety of textures, from creamy to firm, it can be used in many different cooking methods, and will take on the flavors from what it is cooked in. Try it in a breakfast smoothie or even stir-fried with vegetables. Oatmeal - This is no ordinary grain, as it is loaded with protein, fiber, magnesium and B vitamins. Try it with heated up with blueberries or cinnamon or toss it into a smoothie. Tempeh - This fermented soy protein, also rich in probiotics, boosts a meat-like texture that makes it a great addition to any meal. Try it with veggies in a wrap or stir-fried with rice and green vegetables. Edamame - This little green soybean is packed with nutrition that includes 8.5 grams of protein per half cup, antioxidants and fiber. Try it salted as a snack or serve it cold to be thrown over a salad. Spinach - Did you know this leafy green also contains 5 grams of protein per cup? Rich in fiber and antioxidants this is the perfect compliment to any meal. Try it blended into a smoothie, raw in a salad or sautéd with olive oil and garlic. Almonds - With 7 grams of protein per cup of almonds or in two tablespoons of almond butter, this is one food not to miss. Try almond butter atop whole grain crackers as a snack or throw slivered almonds into your morning oatmeal. Chick peas - This little brown bean goes a long way when it comes to nutrition. Chick peas contain 6 grams of protein for a half cup serving, along with fiber, folate and manganese. Try it tossed over a salad, roasted and salted as a snack or made into hummus to use as a dip with veggies. Peanut butter - This creamy protein source has 8 grams of protein in 2 tablespoons, and is simply delicious! Try it blended into a smoothie for a rich taste or atop whole grain bread for a meal. Ezekiel bread - With 8 grams of protein for 2 slices this bread is made from sprouted grains rich in fiber. Try it topped with almond butter or sliced avocados. Related: Do You Need Protein Supplements? How Much Protein Do You Need? As if this list of plant-based proteins is not long enough, there are still many other nutritious and delicious options for those who follow a vegan or vegetarian diet. 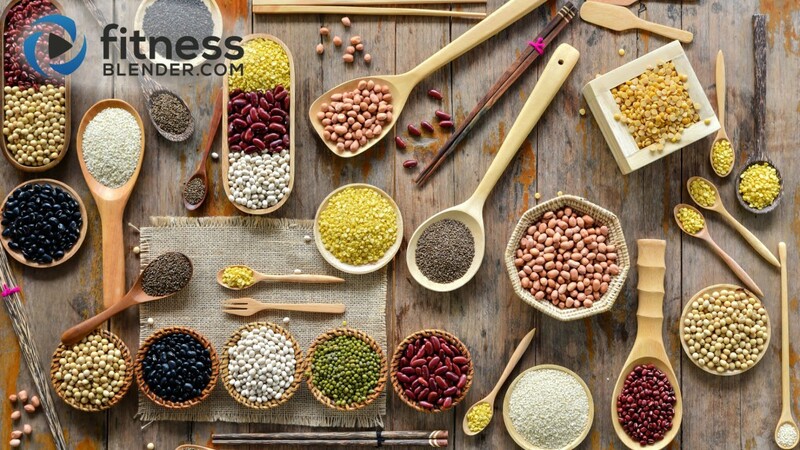 Take the time to explore how to incorporate a variety of plant proteins to your everyday meals and snacks to maximize your health.